Human feet sticking out of the sand led children to discover the buried body of an unidentified woman. 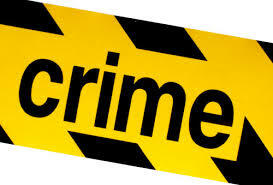 The children from Witsand Township near Atlantis were playing on an open field at about 6pm on Monday May 19 when they made the disturbing discovery. Frightened at what they saw, the children ran away and alerted their parents. The body was buried near a construction site where low-cost houses are being built. Confirming the incident on Tuesday May 20, provincial police spokesperson Colonel Andre Traut said a murder case hase been opened for investigation. Parent Khulire Tolbadi, 39, said he sent his 12 year-old daughter Yolanda to the spaza shop on Monday night and on her way she saw her friends taking a closer look at the feet sticking out of the sand and joined them. When she told him, Tolbadi alerted community leaders who informed Atlantis police. On arrival at the scene police taped off the scene and the body was later dug up by paramedics, said community leader Banoyolo Yawa. “We were shocked. We’re assuming that she was raped before being killed and then buried in the sand,” said Yawa. He said residents believed that unregulated shebeens that sold liquore around the clock were the cause of the high crime incidence in the area. “We don’t know whether the person was coming from the shebeen or was killed in the house and buried there,” said Yawa. Traut said the body of the female is yet to be identified and the cause of death to be determined.